At PetsContained.com you’ll find the best selection of Pet Carriers. Argo, Richell, Pet Gear. There are several great reasons to get your dog or cat a pet carrier. Pet carriers help keep your pet safe and in a secure environment. 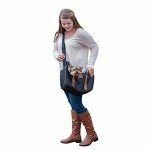 You’ll find the largest selection of both luxury and practical pet carriers for dogs, cats and small animals. 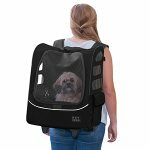 Whether you're going to the park, or embarking on airline travel with your pet, you'll be traveling in style with a carrier from our huge selection. 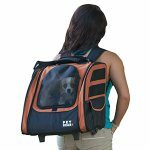 When you're taking your pet on the road, a dog carrier is very comfortable for him and makes things much easier for you. Not all pet carriers are created equal. Some have better security features and some are more durable than others. A good pet carrier should consist primarily of light materials. Pet carriers cannot be returned for sanitary reasons if the original product packaging has been opened or the carrier has been used. All Pet Gear products can only be returned during the first 30 days only if the product was manufactured poorly, or the wrong product was originally sent. Pet Gear strictly enforces this policy.